1. Second order active low pass filter. Fig.1 2nd order unity gain Sallen-Key active low pass filter circuit. 2. 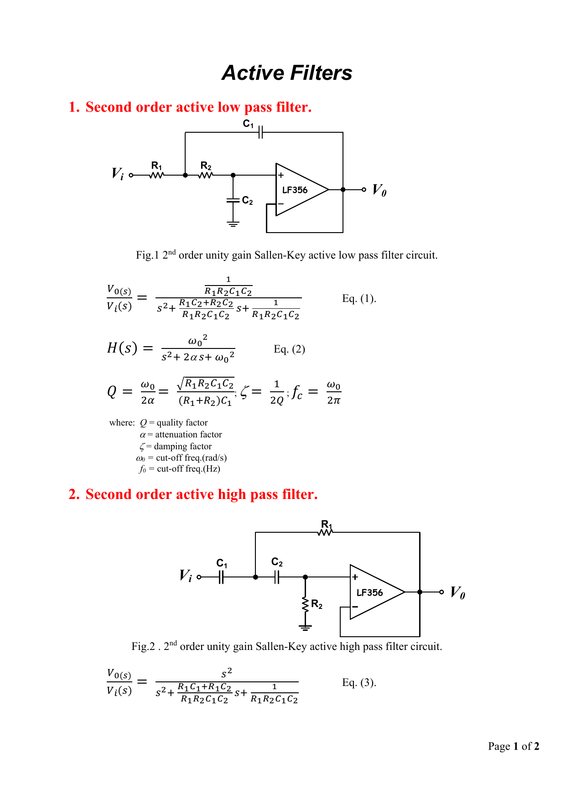 Second order active high pass filter. Fig.2 . 2nd order unity gain Sallen-Key active high pass filter circuit.